Apple announced & beta release their next major firmware upgrade, iOS 11 for iPhone, iPad & iPod Touch at the WWDC 2017 on few days ago. 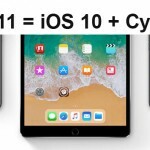 iOS 11 brings tons of new features & improvements for idevice users, but most of the features that have been already available with Cydia for jailbreak users. So, whether you download Cydia for iOS 11 or not, some of the great features can achieve without jailbreak iOS 11 out-of-the-box. 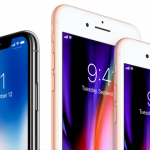 In the article, we discuss only the 7 amazing features are coming in iOS 11 as default but already existed for jailbroken iDevices with Cydia apps. In addition, Apple has copied & bundled more attributes to new iOS 11 from the jailbreak apps & tweaks. So, you no need to download Cydia for iOS 11 to get bellow jailbreak features for your iPhone, iPad. Apple has added on-device screen recording feature to iOS 11 in first time. You can access the screen recorder by the toggle in the control center just a one-click. There are so many Cydia apps available to screen record for jailbreak users for a long time. Apple introduces new app to manage files with iOS 11 in first time. The new app is called “Files” allows limited access to file system. However, without jailbreaking iOS, you can’t gain root access of the Apple file system. Without a third party app, iOS 11 allows you to move more than one app icons from one page to another in your Home screen. Before this, you have use jailbreak app to move multiple icons simultaneously or move each app one by one individually. Apple introduces kind of system wide dark mode feature with iOS 11. This new accessibility feature is labeled as “Smart Invert” that reverses the colors of the display to dark mode. This feature is also already available with Cydia tweaks only for the jailbreak users. When you press the volume buttons of your iPhone or iPad, volume HUD is appeared in the middle of the screen. This covers the big area of the screen & obstruct the your work. Now, Apple has addressed the issue in iOS 11 with redesigned less obstructive volume HUD. There are many Cydia apps & tweaks available to resolve that problem & makes the volume HUD less obtrusive for jailbreak users. Finally, Apple has added the ability to scan QR-codes for iOS. The stock Camera app of the iOS 11 has integrated with the QR-code reader to scan QR-codes without any third-party app. Apple has copied this feature to iOS also from the jailbreak community. These are the my 7 best Cydia features that copied to new iOS 11. But, there are many other things have already inspired to the iOS 11 from the jailbreak community. What feature you wish to add this list ? Share it & let us to know about with a comment below. 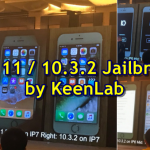 Will someone relese an ios11 beta jailbreak or only on the final release? If they release a beta jailbreak, apple will be able to close the exploit before the official release and the hard work of the hacker would be useless.